Looks like Chicago police over the weekend picked up two idiots who admitted to completely making up a story about a knifepoint robbery by three poor, unsuspecting black men. 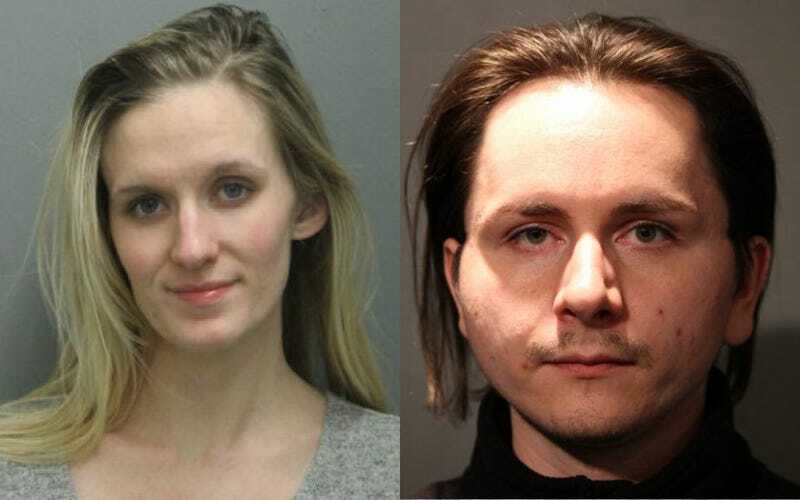 According to the Chicago Sun-Times, Ryan Reiersgaard of Minnesota and his girlfriend Katie Mager showed up Sunday in Bond Court, where Cook County Assistant State’s Attorney Joseph Carlson went into detail about how the two basically blamed each other for the outrageous lie. “Reiersgaard stated that the whole scam was Katie’s idea and he just went along with what she was stating [to police]. He stated that he and Katie lied about the whole robbery and he doesn’t know Katie’s motives,” Carlson said. The whole ridiculous saga started last week when the couple claimed they were robbed of some $5,000 cash, an 18-karat platinum wedding band with a 2-carat diamond stone worth $12,000, an Apple laptop, a Burberry purse, a $3,000 Louis Vuitton luggage bag of some sort and an iPad. The pair claimed that they had gotten lost around 1:50 a.m. while on the way to their hotel downtown when they decided to park their rental and walk the rest of the way with their luggage. That was when, they said, three mysterious black men approached them. One pulled a knife and the couple said they dropped their belongings and ran, calling 911. However, it didn’t take a lot of time for the police to realize this could be a hoax. Photos from O’Hare International Airport showed that the couple did not have any of the luggage that they described. Their airline confirmed to police that they did not have any checked luggage or carry-on luggage. Mager had told detectives that she had tried to meet up with a friend before the robbery took place, but when investigators asked, she could not hand over a valid phone number for the friend. And then there was the surveillance footage from a camera near where the alleged robbery took place. There was no footage to indicate that a robbery had taken place, with video only showing when police cars started to arrive. Both Mager and Reiersgaard are facing one felony count of disorderly conduct for making a false police report, according to the Sun-Times. They were released on $10,000 personal-recognizance bonds.